In this huge world people are struggling hard to live a life with luxuries and happiness but that do not fall in everybody’s plate. Since we are born we have been trying to convince ourselves and others that we are something, we are capable of a lot more than what we are having at our disposal right now. Sometimes even degrees go to waste when you don’t have a good job. Some of us are living hand to mouth life because of no skill at hand and no talent in the resume. But you know there is another good day to make us shine. So get the skill, study harder and make your existence possible because most of us are just living as we have a life and there is no other option to go about. 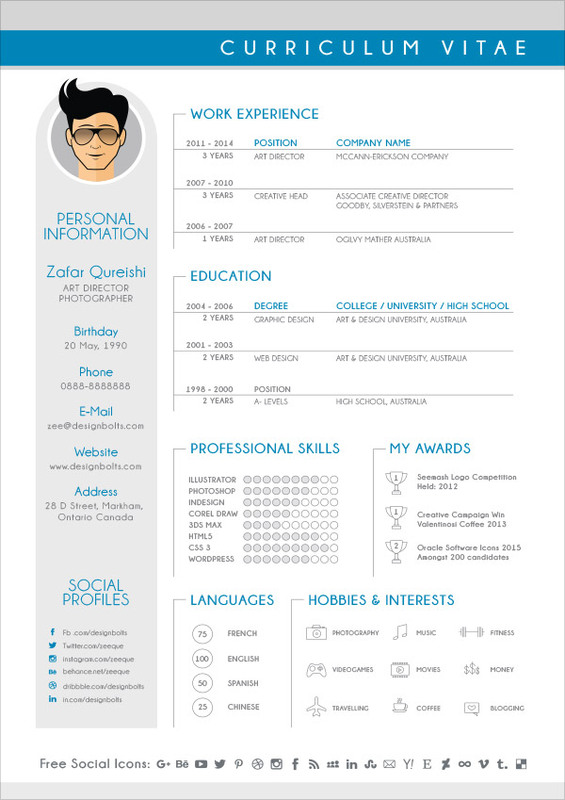 Today I am unfolding before you free modern CV / Resume design template for graphic designers that you can use for yourself. You know your impression is built up with your CV. So before applying for a good job and for a good designation make sure you are having a good resume at your hand. When you enter a new firm all you see is multitude of people owning the place, they have tons of experiences and work potentials that is why they are earning greater amounts. CV plays a vital role in making you win a job, all your skills, talents, activities, degrees, work experiences have to be placed in mandate, because they are the things that will pay you off. They are the aspect that speak about yourself. You should also add up the tools and techniques you are good at, the genres you would like to work on, the software that you have knowledge about and the stance you like to pursue. 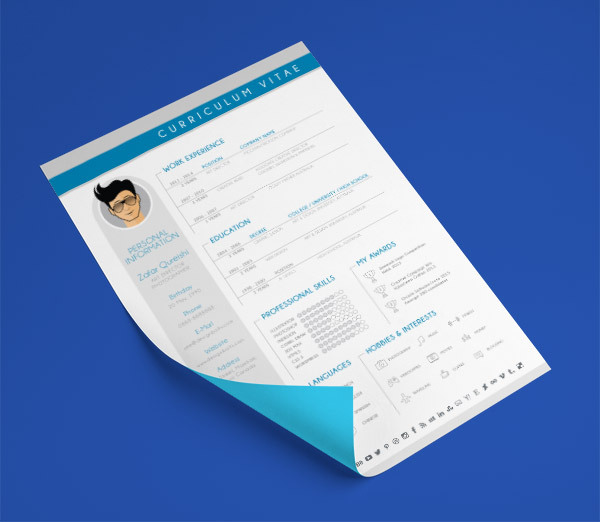 Have a look at this template which is stunning and simpler , it would really sort your issues out, however by seeing this example you will also have ideas that how a resume has to be built. Stick around for more posts we are here to accumulate useful posts for all our art and design lovers. Don’t forget to check back again, subscribe us!